The World Meeting of Families has announced that the Divine Hand Ensemble will play for Pope Francis on the Eakins Oval Stage prior to the Papal Mass on Sunday, September 27. The Divine Hand Ensemble, led by music director and concert thereminist Mano Divina, will take the Papal stage between 12 and 4 PM. Eight other artists/groups are also set to perform. The Divine Hand Ensemble played to a sold out audience at last month's Mozart Festival which was part of the Bethlehem Music Festival. The ensemble's recent concerts at the Franklin Institute's Fells Planetarium, played to over 1,000 attendees. Following the public concert for Pope Francis, the Divine Hand Ensemble will present a heavenly evening of sacred music, in his honor. "Concert for Pope Francis" will be performed in the Church Of The Holy Trinity on Rittenhouse Square, one of Philadelphia's oldest churches, on Sunday, September 27th, at 6:00 PM. "The Divine Hand Ensemble is deeply honored to offer a concert of sacred music in honor of Pope Francis" say Mano Divina, Musical Director. The Pope and members of his group will be viewing the concert from an undisclosed and secure location. The Divine Hand Ensemble specializes in classical timeless repertoire by the greatest composers of all time. The "Concert for Pope Francis"will feature sacred music from composers including Mozart, Bach and Beethoven. 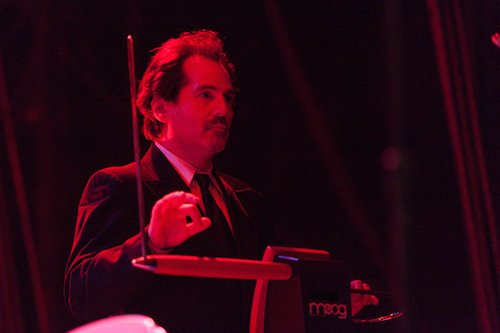 The Divine Hand Ensemble is led by musical director and concert thereminist, Mano Divina who is endorsed by Moog. Mano Divina commands the theremin to sing like the voice of an angel, by bending electricity with his hands to produce powerfully moving music that touches all who see and hear him. Ensemble members are: Jon Salmon - Cello, Monique Canniere - Violin, Julie Myers - Violin, Brit Walmsley - Violin, Hannah Richards - Viola, Gloria Galante - Harp, Mary Bryson - Harp (carbon steel harps, the only two in the world) and Randall Rudolph - Vibes, Celeste and Percussion.